Actually, we had never seen this before. It is a PG Tips thimble for sewing. 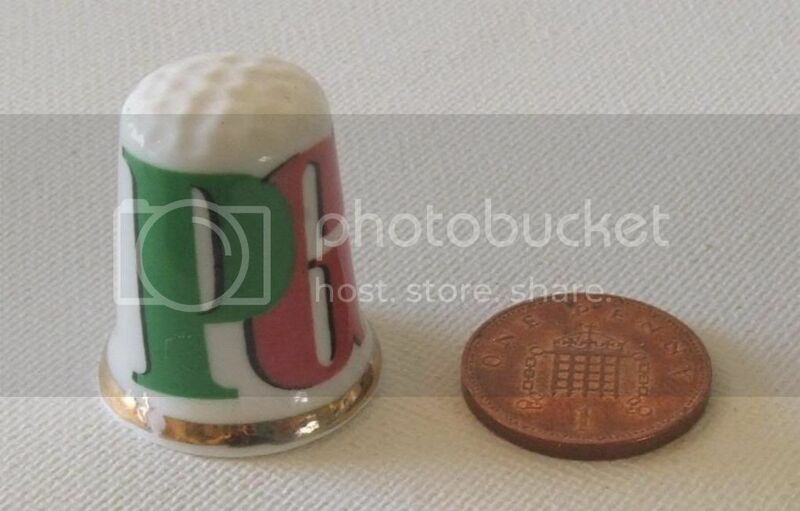 The thimble is made of English bone china. Thanks to Yvonne Brough for the image.